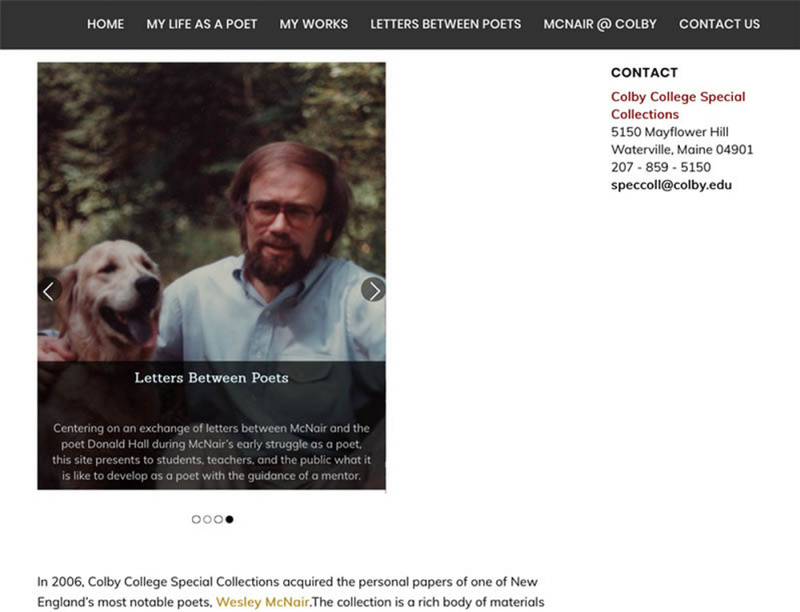 Colby College will launch a website that shows how the former Maine poet laureate's latest book – about the grief and hope following his mother's death – came to be. Writing poetry is a little like praying. “You talk to yourself with an imaginary listener,” said Wesley McNair, Maine’s former poet laureate, whose new collection, “The Unfastening,” reflects his prayerful, private conversations about the death of his mother and the decline of family elders. A reading scheduled for 4 p.m. Friday has been postponed because of illness, and will be rescheduled. 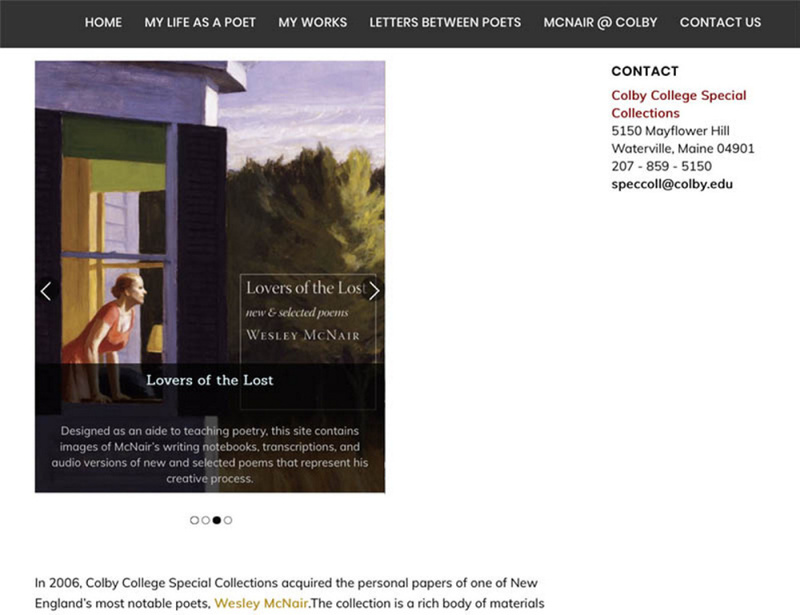 At that time, Colby will launch a website it created with McNair to help readers understand how, and why, and he wrote the book. How the last two stanzas of Wesley McNair’s “I Praise My Mother, the House Lover, At Last” from his book “The Unfastening” changed over time, as documented by Colby College Special Collections. and left me all over again with the shock of what it was. the blow of each stroke that undid her love for it. “The Unfastening” is McNair’s 10th book of poetry and the second about his mother and her family legacy. “The Lost Child: Ozark Poems,” from 2014, was McNair’s first trip down this path, when he rediscovered his Ozark past as he carried his mother’s ashes home to southern Missouri from New Hampshire, where she lived most of her life and where she raised McNair. “The Lost Child” poems were long-form reflections on his mother’s journey home and his own reconciliations associated with it. 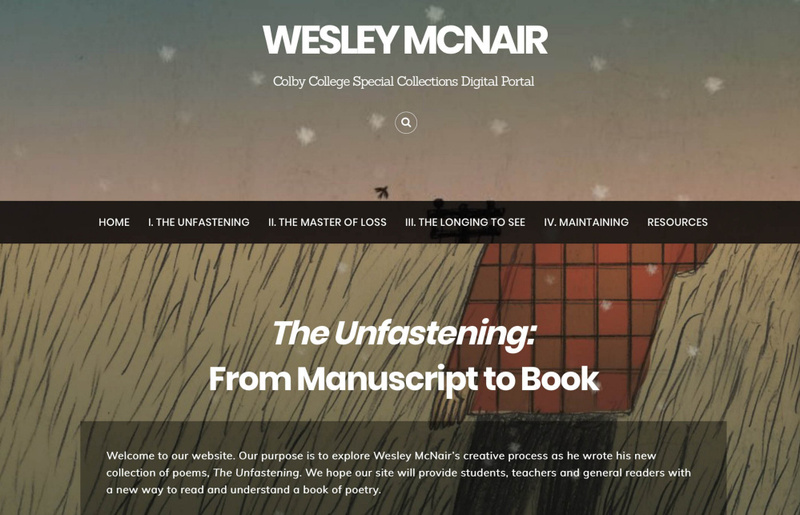 McNair, who lives in Mercer and serves as professor emeritus and writer-in-residence at the University of Maine Farmington, teamed up with the Special Collections department at Colby College to create a website for “The Unfastening” that helps readers understand his creative process and expands the way people can experience poetry. It also provides an insider’s view of how a book comes together. The website will officially launch at 4 p.m. Friday. A reading by McNair scheduled for that time was postponed because of illness, and will be rescheduled. 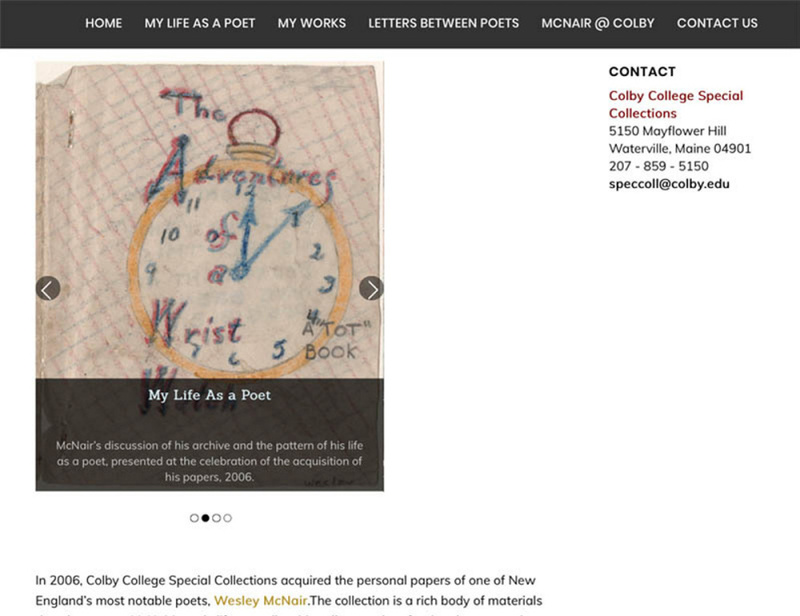 Patricia Burdick, Colby’s Special Collections director, said the website is designed to complement the published book by providing a digital platform for the humanities, with students, teachers, other poets and general readers in mind. There are audio clips of McNair reading, a transcript of an interview and a revealing string of emails between McNair and cover illustrator Robert Brinkerhoff that spotlights how artists collaborate and the inherent reward and tension of the process. 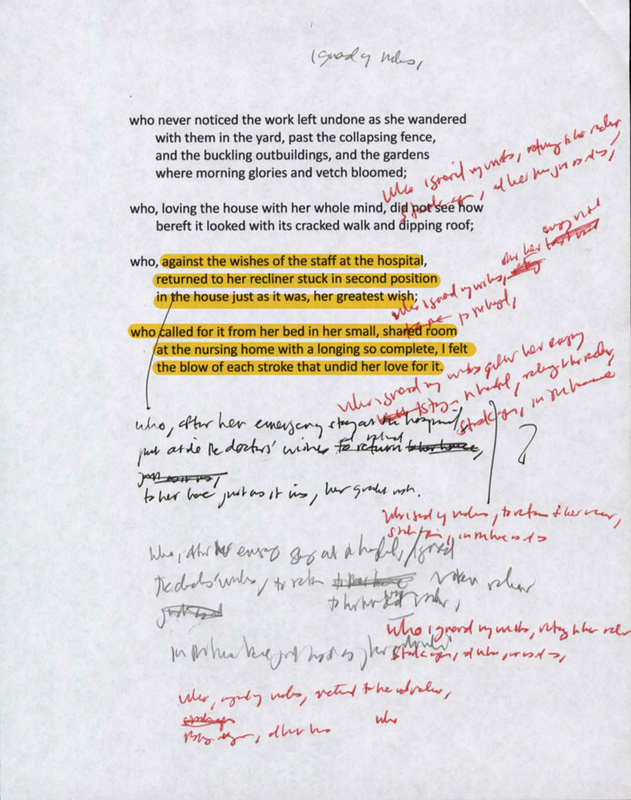 The website tracks McNair’s drafts of the poems, with his notes and revisions. In doing so, it demonstrates the evolution of a poem from first draft to final version and provides a visual representation of a poem that isn’t part of the published book. With McNair’s voice as a soundtrack and the personal touch of his craft peppered throughout, the website offers the anatomy of a poem, a book and a creative mind. 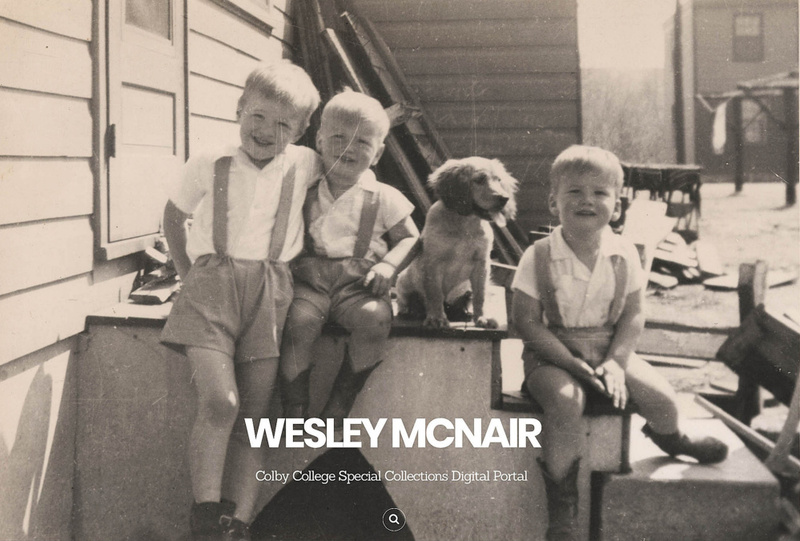 The project required the cooperation of McNair and the coordination of a Colby team of archivists, tech-based educators and student interns. McNair has a decade-plus history with Colby. 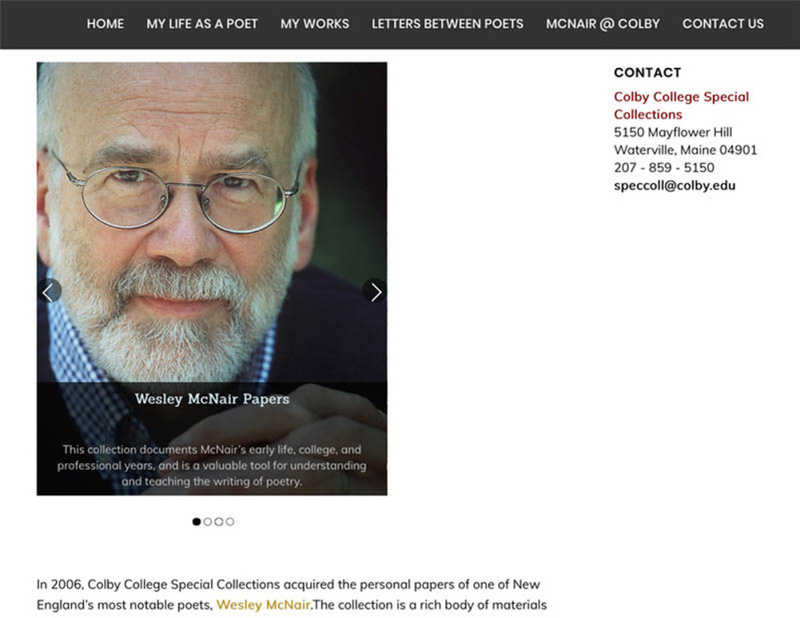 In 2006, Colby College Special Collections acquired the poet’s personal papers, including scrapbooks, photographs, family letters, teaching notes, poem drafts and manuscripts, audio-visual materials and correspondence with colleagues and peers. The website enriches the collection by creating more digital access, Burdick said. “It documents the daily life of a busy poet,” she said. 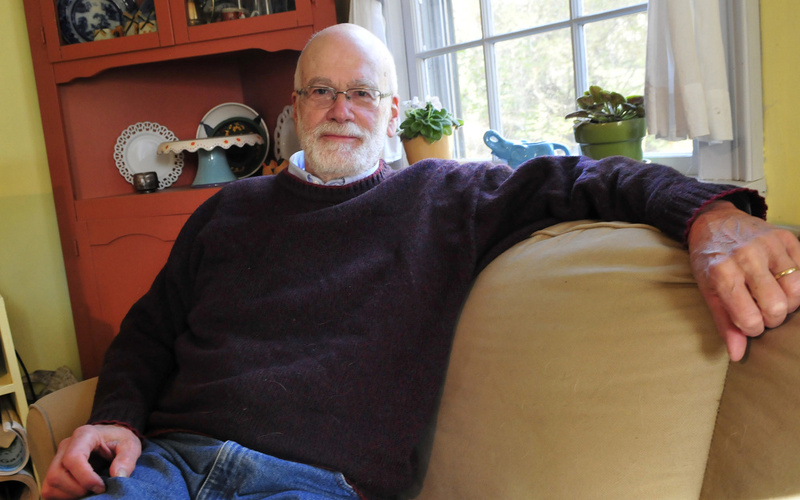 He was Maine’s poet laureate from 2011 to 2016. “The Unfastening” was a hard book for McNair to write because it’s so personal. He’s been working on it since 2012, when his mother died. Much of his writing from that period ended up in his long-form collection of Ozark poems, but he persisted on these more personal, shorter poems. He wrote about the misfortunes of his neighbors in “The Rhubarb Route,” recalling a robust community of older folks near his Mercer home, to whom he delivered rhubarb “between the black fly season and first mosquitoes.” He’s had to give up the spring routine because all the older people in town who understood what rhubarb is, and what to do with it, are gone. It all left him numb and sad, until eventually McNair moved through his grief and began to see the world in different colors. His poems shifted from sickness and dark to healing and light. His book turned. McNair closes the book with a poem called “Benediction.” Its title implies hopeful blessings: lilies of the field, black-eyed Susans, Queen Anne’s Lace. straight up, giving themselves away. Brinkerhoff’s cover illustration shows a worn-down man trudging toward a worn-down barn on a late-fall afternoon. There are snowflakes and crows in the air. The man hangs his head in despair, unable to see what lies ahead. McNair saw a lot of himself in that image when Brinkerhoff sent it for consideration. That’s how McNair felt for a while, until he lifted his head and began looking up.